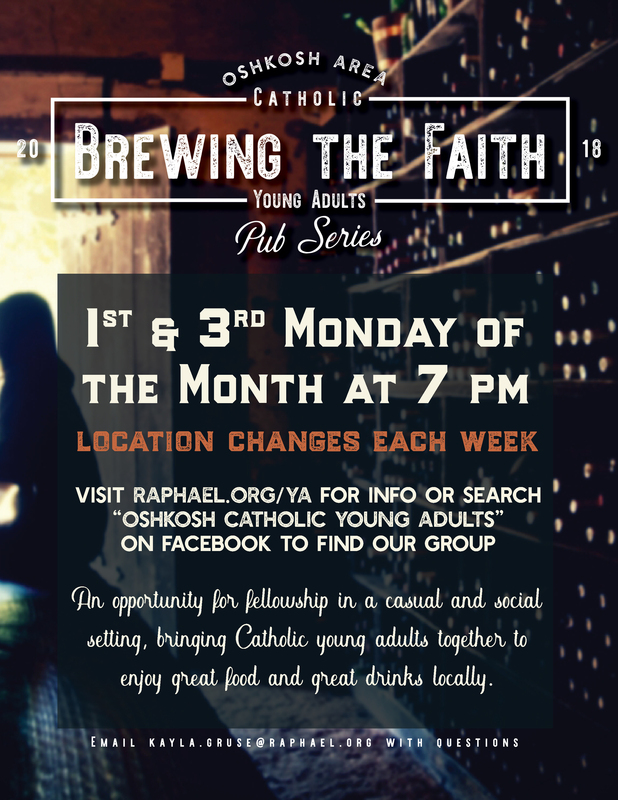 Catholic young adults coming together to grow closer to Christ through community, liturgy, service, prayer and life. Our region includes the Oshkosh, Omro, and Winneconne areas and beyond. Scroll down to see upcoming events and news about our group. Join our Facebook group for event info and updates. If you have any questions about the ministry, fill out this inquiry form and the Coordinator of Young Adult Ministry will contact you. More Events Coming in September!